I am passionate about sharing my experiences of the exciting and interesting happenings of Adelaide, with a particular focus on live theatre. 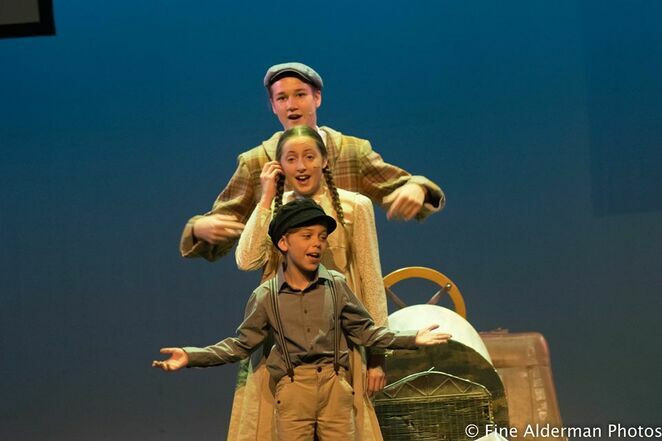 For several years, under the direction of Joe Russell and Bianca Woods, Now Productions have been providing ample opportunities for the youth of the Northern suburbs to perform on stage in quality productions and musicals. 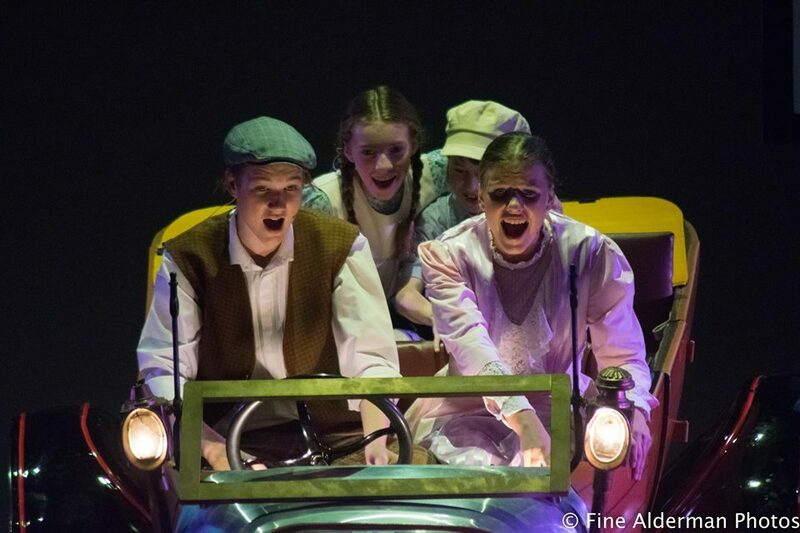 After the previous success of Now Productions' shows Wizard of Oz, Oliver!, Joseph and the Amazing Technicolour Dreamcoat, and most recently Sound of Music, Now Productions return in 2019, with their production of Chitty Chitty Bang Bang, and it is their best one yet. Filled with catchy dance numbers and a stellar cast, it is a show which can be enjoyed by the whole family, and will be a hard show for Now Productions to beat in the future. 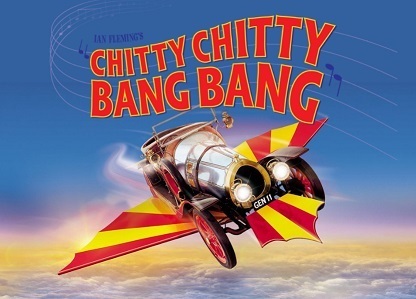 Chitty Chitty Bang Bang is the famous and award =-winning musical with music and lyrics by Richard and Robert Sherman (famous also for music and lyrics for Mary Poppins) and book by Jeremy Sams. This family-friendly show is a fun show based on the beloved 1968 film of the same name, and follows the journey of eccentric inventor Caractacus Potts and his two children Jeremy and Jemima. When Potts purchases an old race car from the scrap heap, he transforms it to its former beauty, and discovers it to have magical proprieties, which later save them from the troublesome Vulgarians. Axel Moen and Indianna Rumsby are suitably cast as the tyrannical rulers of Vulgaria, Baron and Baroness Bomburst, respectively. Moen conveys the Baron's childlike, immature and whining nature well, while Rumsby effectively portrays the overly dramatic personality associated with the woman who hates children. Both actors also present and maintain a believable Vulgarian accent throughout. The comedic, dim-witted, oaf henchmen to the Baron and Baroness, Boris and Goran, are also well played by Aidan Good and Kane Mobbs, and provide much comedy to the show. Mention should also be made of Libby Harding, whose body language, facial expressions and characterisation, ensures that The Child Catcher is portrayed as one who is most terrifying. Rhys Young and Ava Hughes, are simply adorable as Caractacus Pott's adventurous and imaginative children, Jeremy and Jemima Potts. Both actors provide an appropriate innocence and curiosity to their characters, and are joyful to watch. Caractacus Potts is played by Michael Hardy, and he has been very well cast. In perhaps the most significant and challenging role of the show, Hardy is excellent; he has appropriate characterisation, charisma, and an excellent stage presence, always commanding the stage well. Hardy also managed well when the orchestra struggled to keep in time to his position in a song, and this is a testament his several years of stage experience, he is to be most commended for this. Potts' love interest, Truly Scrumptious, is played by Chloe Seabrook, and she is a true delight to watch and listen to. Seabrook suitably encapsulates the assertive, strong and independent, but also gentle quality of Scrumptious, and one could believe that Seabrook is an adult performer. However, at only 12 years of age, Seabrook displays both an acting and singing talent which is well beyond her years. She has an incredible future ahead of her in musical theatre, should she continue to pursue it, I would highly recommend that she does. Choreography by Mandy Russell is simple but fun, and easy for the actors to learn, and costumes by Kate Harding are of exceptional quality, and fit the era well. However, the true star of the show is Chitty herself, a prop lovingly donated by Pelican Productions. This car is an almost identical replica to the professional touring production, and features a flotation device, working headlights, and large extendable yellow and red wings, exactly as featured in the film and professional stage production. She is a true beauty to behold, and is well deserving of the thunderous applause when she is first revealed to the audience. Sometimes it can be so easy to forget that producing a quality musical takes much time, hard work and effort, and requires teamwork from all involved; it is no easy feat. When Joe Russell, producer for Now Productions, had the dream of producing Chitty Chitty Bang Bang for Now's first musical production for 2019, he knew it was going to be challenge, and will take lots of work and effort from his team, but it is obvious that hard work and effort has been invested into this production, and it has paid off. This production demonstrates therefore that "teamwork can make a dream work, if you're not afraid to try." Russell was not afraid to try, and I look forward to seeing what Now Productions will produce in the future. Well done on your first article Thomas.